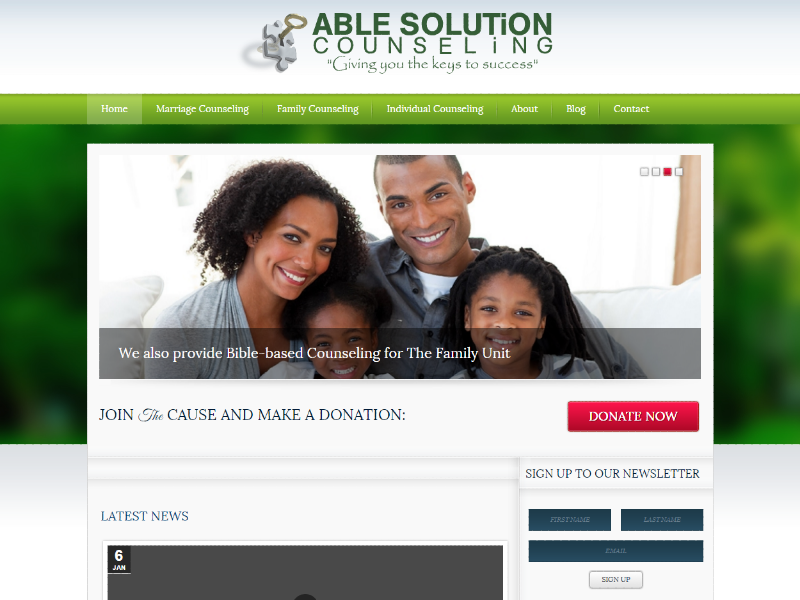 Able Solution Counseling Ministries is a non-profit organization that provides bible-based counseling to it’s visitors. The client needed to establish an online presence for their new online ministry. The site was created with a premium WordPress theme and features the services they provide to their visitors. 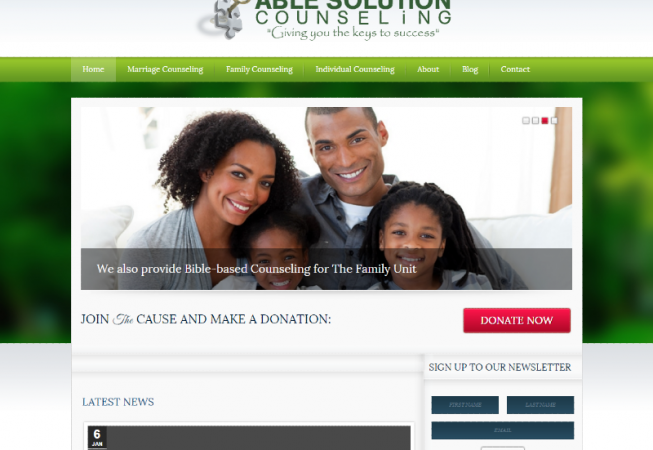 The design reflects a Christian look and feel and is easy to navigate and find the services available. The site features their social media presence as well.